No, it’s late July. Temps here in the Salt Lake City area have been in the high 90’s and over 100 for about two weeks straight now. The other morning, when I left the house for work at 5:30am, it was 84 degrees already. Just too hot to even think about hunting coyotes. For me anyway. 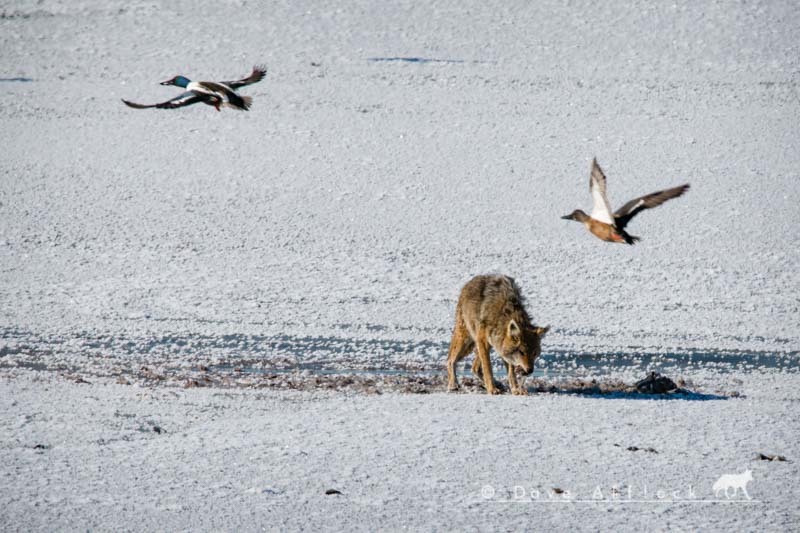 But boy, do I ever think about coyote hunting a lot lately! Coyote hunting in nice cool, cool weather. Ahhh…. 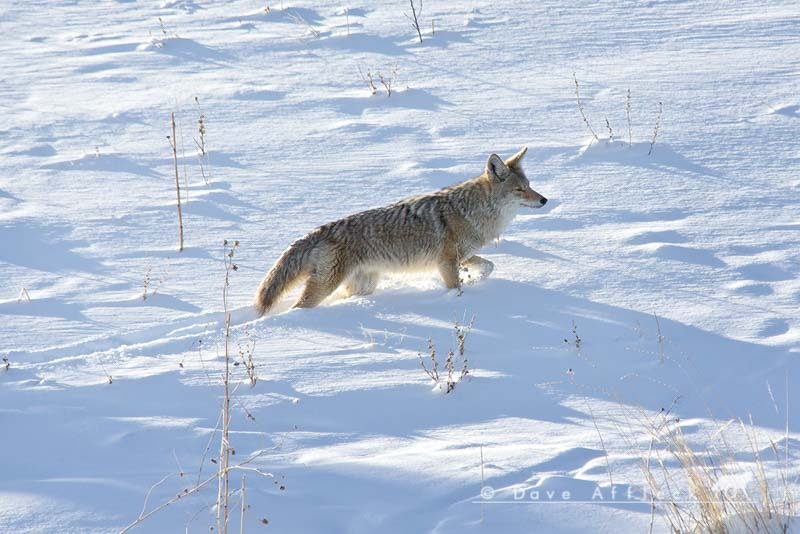 So, anyway, some winter pictures to take my mind off the heat and think happy thoughts of winter coyotes charging into the call. And hopefully do the same for you! The stuff daydreams in July are made of! 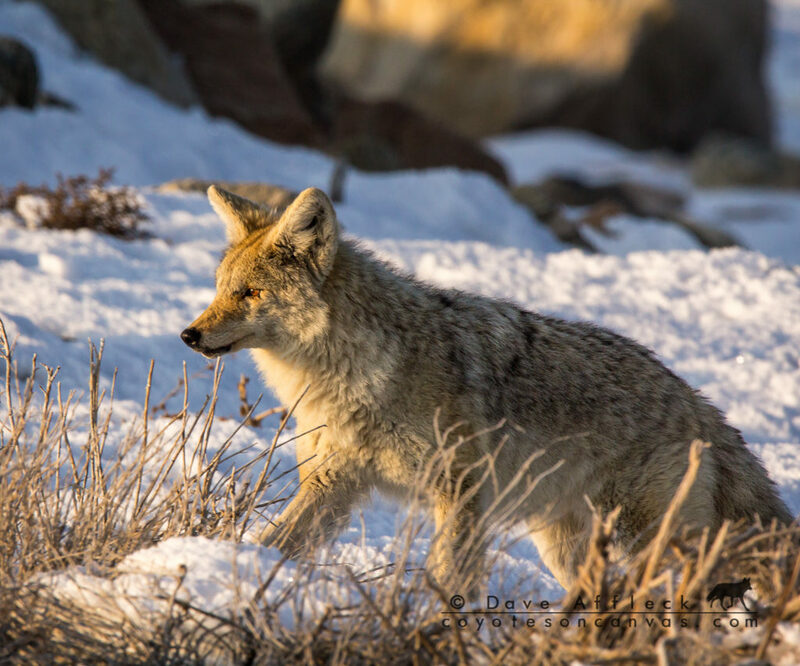 Winter wildlife pictorial, featuring wild mustangs, coyotes, mule deer etc. I too have been thinking of coyotes and cooler temperatures. But I was not thinking of sub-zero temps ! Right now, I’d be real happy with some temps in the 60’s! Your picture Dave titled evening comes early to the high desert looks very familiar, any chance is it in Ruby Valley? No, it’s not that far west :).